The Texas Auto Writers Association (TAWA) holds an annual auto roundup at Eagles Canyon Raceway's real-world road condition track in Texas to determine which new cars are the best. This year, its picks were overwhelmingly Toyota Models. However, it was a Lexus that took home the top honor as "Car of Texas." 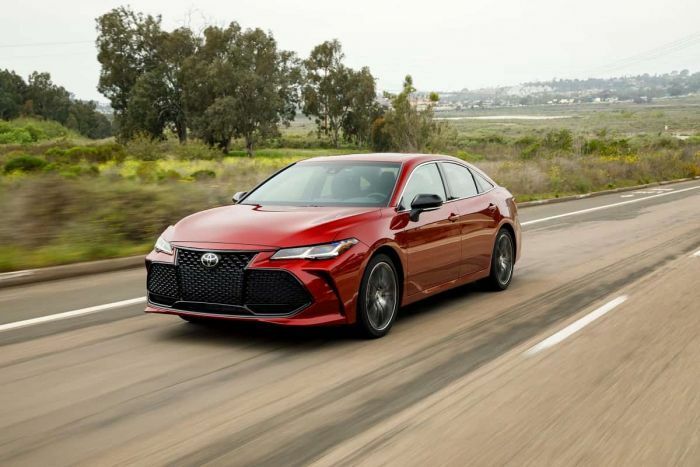 The Camry was voted Best Midsized car, the 2019 Corolla Hatchback was voted the Best Compact Car and the Toyota 2019 Avalon was voted the Best Full-Size car and also won Best New Interior. “To have the new Avalon, Corolla Hatchback, and Camry recognized as the best of Texas by TAWA is truly an honor," said Lisa Materazzo, vice president of Vehicle Marketing and Communications at Toyota. "These three compelling new products continue to show our commitment to passenger cars, our dealers, and our guests." Four dozen TAWA journalists performed the tests on the vehicles, focusing on five key pillars – exterior, interior, performance, value, and personal appeal. 45 vehicles competed in 12 classes.